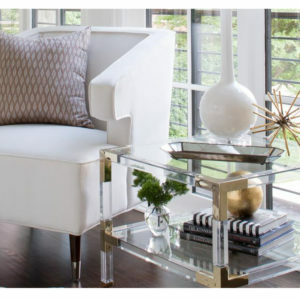 If there’s one piece of furniture you can use in every room of your home, it’s a side table. 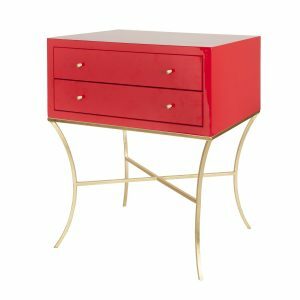 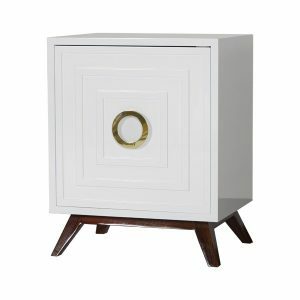 As a leading provider of distinctive home decor online, Katzberry is proud to carry a contemporary collection of side tables that you’re sure to love. 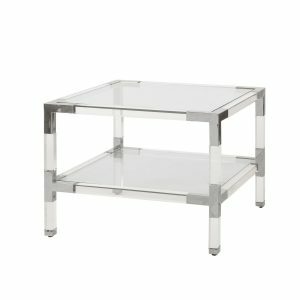 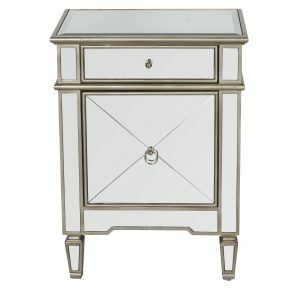 Our acrylic side tables will make a statement in your family room, while our mirrored side cabinet will look stunning next to your upholstered bedroom set. 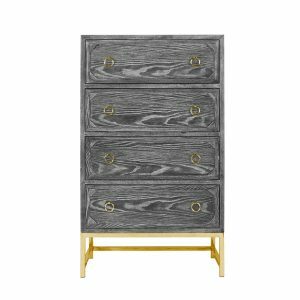 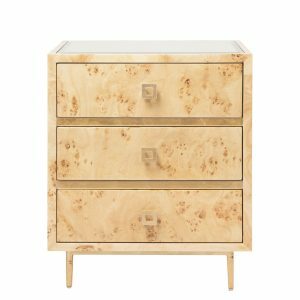 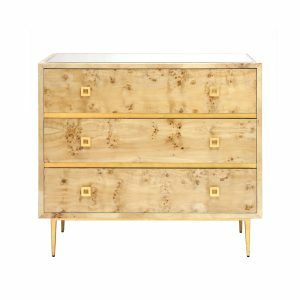 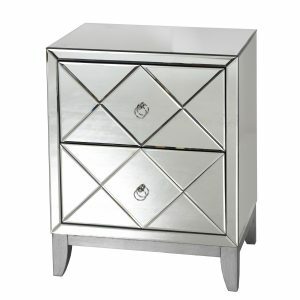 We also carry unique drawer chests and dressers, bedroom sets, benches, loveseats, and display shelves. 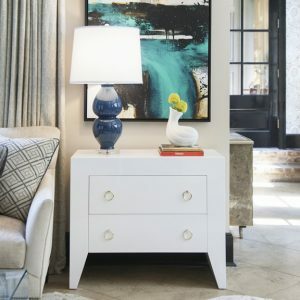 Don’t forget to browse our home accessories to find fashionable pillows, blankets, vases, and more. 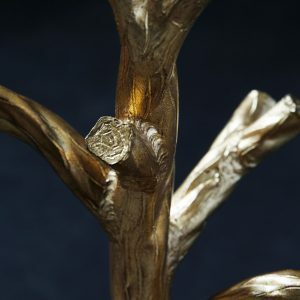 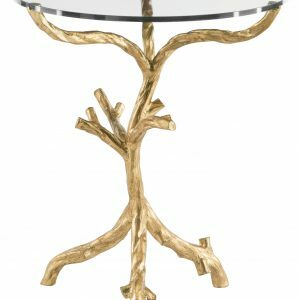 This side table features a branch-twisting look, is hand hammered Solid Iron base in Gold Leaf finish. 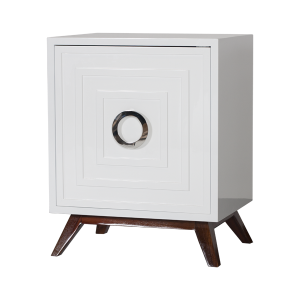 Comes with tempered glass top with clean polished edge. 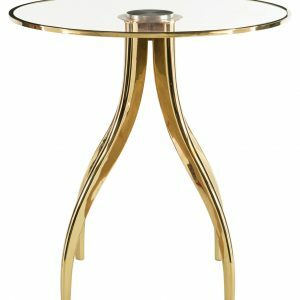 This beautifully polished side table has a solid steel base with Bright Brass finish, comes with a tempered glass top that has polished brass edge for a finished look. 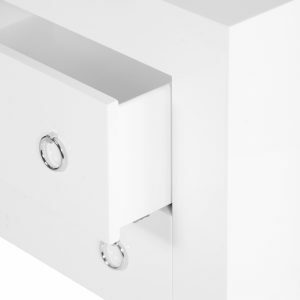 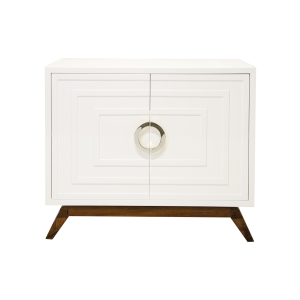 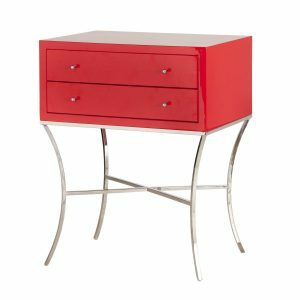 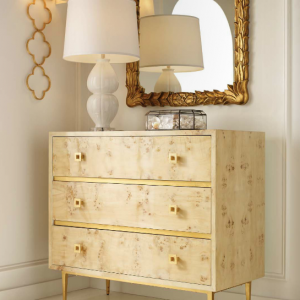 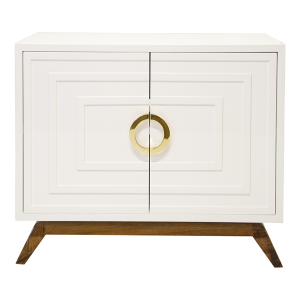 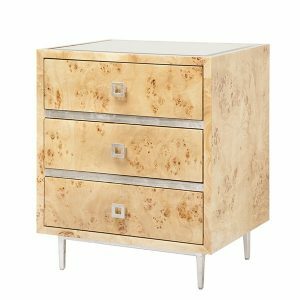 This elegant nightstand has one top smaller roll out drawer and one larger drawer. 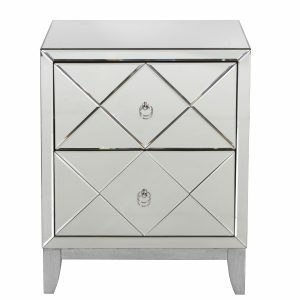 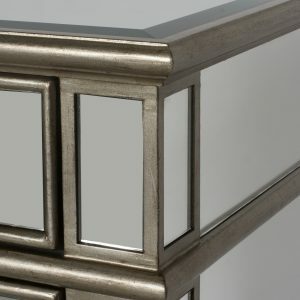 It features beveled mirrored top and front with silver leaf painted edges. 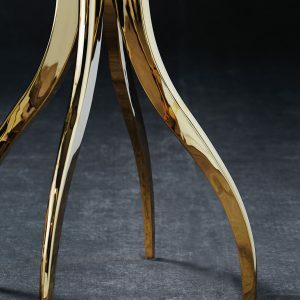 This elegant side table has a very dark expresso, almost black finish. 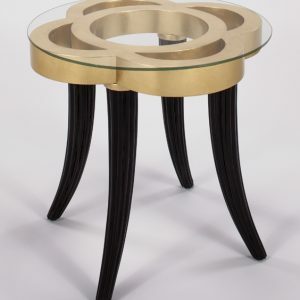 It features an elegant gold leaf design and tempered glass top.